This book is intended for film buffs of all ages, and in fact anyone interested in learning more about the history of fi lm. 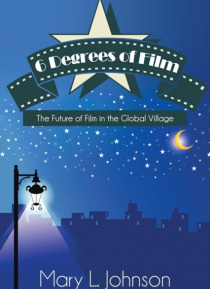 6 Degrees of Film will take you on a short trip through the history of the movies where you will learn about the surprising connections between the fi lms of the past and the films of todaySome stories may surprise you, and some will simply entertain. 6 Degrees of Film conne… cts the films and the film makers from the Silent Era and the Golden Age of Film with many of the movies that are made today. Youll learn why we are in a new Golden Age of Film that is defined by movies like Star Wars and companies such as George Lucas state-of the-art special-effects company-Industrial Light & Magic.